I Know Who Took It, But What is IT? Sometimes the universe smiles on you…even if it is a creepy grin! I’ve seen this photo here and there all over social media and found it to be very compelling. I couldn’t attribute the creator with confidence and was beginning to think that it was a Photoshop deal. I wanted to know three things. What, when, where, how, and who took the photo. The person who took this photo, Julie M., contacted me and I got most of my questions answered! Julie is indeed the person who took the photo, she has the memory card to prove it! Watch here to find out all the info. It is worth the watch and includes other spooky and unexplained photos taken on the same night. Many times with a picture of this nature the photographer is associated with a ghost hunting group or paranormal research team, but in this case, Julie was just out showing this strange park to some friends from out of town. She did not take or post this photo hoping to gain attention or market anything. I’m not sure if knowing that it is the real deal is better than suspecting (maybe I was hoping) it was faked! Knowing the location just makes it even weirder. Memory Grove Park in Utah features memorials to Utah’s veterans and various other monuments. Like most parks, it has hiking trails, a dog park, and a facility for weddings and such. However, unlike other parks, the ghost of a bride killed on her way to her nuptials at the park now walks the garden paths of the scenic area in her wedding gown. Based on Julie’s photos there are some other very strange symbologies and structures on the property. I don’t think the ghost bride walks alone! The missing child poster in the picture not only gives context to the photo but makes it even more ominous! Back to the photo in question. I have looked at this thing from every angle, and I just don’t know what it is. Like a demon crawling out of the ground! He is so solid he is casting his shadow on the rock wall behind him! “Actually, weird things did start happening, or maybe I was kind of scared and had all these people telling me it would follow me now, so I might have paid more attention to anything weird. But the crazy thing was that very night (or early morning, I must have gotten home around 3:30 or 4 AM), my sister was up and I was showing her the pictures I had taken on my camera. We zoomed in on that picture because we saw the bright orb by the “demon”. Then we saw the figure and we both screamed and freaked out!! I had seen that I was capturing a lot of orbs in my photos, but nothing like that! About fifteen minutes after we first discovered the figure in the photo another strange thing happened. My room at the time was in the basement of an old 70-year-old house. There was an old, small window in my room that used to look up into the backyard years ago, but since then an addition had been built on the house, so my window looked into a crawlspace with a dirt floor which was now under the addition. I had actually never really even noticed that window! The house was a rental and there were heavy drapes over it, it was high up on the wall, and small. But when I went down to my room, for the first time in living there for almost 2 years, the drapes were pulled over to the side and I could see the blackness through the window! I had never even noticed the dang thing before, or what was behind it. I was so scared I didn’t even want to go near that window! I called my sister in and went over, and when I pulled the drapes back into place to cover the blackness they FELL DOWN ON ME and the window fell open!! It was the kind of old window with hinges on the bottom and opened that way. We SCREAMED and were so scared, and I really had a hard time sleeping that night! I had to put furniture in front of it! Umm. Holy Cow! Glad she can joke about it! Julie first posted this photo on Tumblr about four years ago and has since then seen others take credit for the photo. 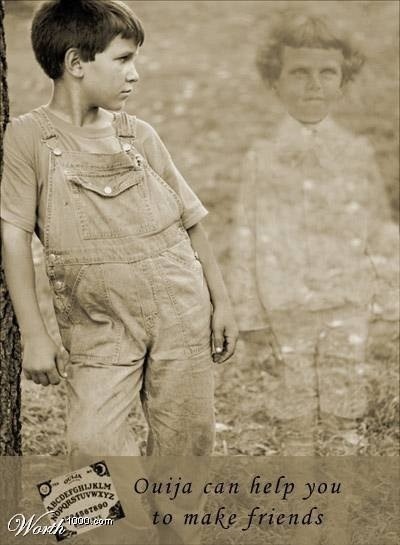 This is one of my favorite “hmmm” paranormal photos, and I wanted to give credit where credit is due. Julie certainly captured one of the most fascinating images I have seen! So, if you share it, please give her credit for the photo. Julie is, after all, the one who traipsed around at night in this creepy park to get the shot! She says that she has not caught anything strange on any other photos she has taken. Julie says she is not a believer in the paranormal, per se, but has an open mind and is open to any and all explanations of this photo (me too!). If you think you have an answer, please feel free to reach out to me, and I’ll pass the information on to Julie. I want to thank Julie for reaching out to me with her story. I’ve been so curious about this photo, like an itch I can’t reach! Although I’m thrilled to have my questions answered, I’m feeling kinda uneasy now. I hope that chatting about “Matthew” doesn’t get him looking my way…but it would make for some good writing material! I always wanted to read The Exorcist by William Peter Blatty. I wanted to know how scenes from the movie looked in written word. How did he use vocabulary to express the sights and sounds and smells? When I found an audio version, read by the author himself no less, I snatched it! I will tell you that there is no other way to delve into a book about demon possession other than with an audio version. I got chills from the places of the text where the demon speaks. At one or two points I felt like I should pull my earbuds out and douse them in holy water! Weirdly, this book became my soundtrack as I trained for a 10K and anticipating the next installment served as wonderful motivation to get that next workout in. As I was deep in the midst of my unique routine, I heard that FOX was making a television series based on The Exorcist. I was very curious to find out how the writers of the television series would develop their storylines. On the premier evening, I wasn’t sure I wanted to watch. My men were out at an overnight campout, and I was alone with my girls. It might sound weird, but it was the first time I found myself without my spouse overnight since my home security system, a large German Shepherd named Carmen, passed away. What if I freaked myself out and in turn scared my girls? As is true most times, my need to know won out. I tucked them into the family room with a Disney movie and crept up the stairs to my room. I wanted to turn the volume low on the TV, I didn’t want them to overhear it, but it was stormy out, and the wind was howling through the eaves of the house. I adjusted the volume so I could hear and hoped the sound wouldn’t carry over the happy sounds of Disney. The opening scenes with the lone priest walking through a ghetto, dark things scurrying in the shadows, and screams in the night had me expecting to go through the house turning on all the lights. Just when I thought I was going to be fine, the final scenes from the attic rolled across the screen. It takes a lot to scare me, and I was not disappointed! There is something terribly appealing about a character who reveals that his principles are deeper than you thought. He walks the talk to the bitter end, a man of integrity who knows where his true devotion lies. These tales intrigue me, and maybe many of you, because they are scary to be sure, but deeper. Not just shock and jumps. They explore the ancient human question of what faith is and how hard it can be to hang on to that faith. It challenges us to ponder what exactly is it that we have faith in? And why. It begs the question, what is the purpose of suffering? They show us the power of mercy, sacrifice, and service to others. Most importantly, they tell us that we are not powerless against evil. Contact with evil will change us, but we can fight back. There is hope that we can overcome it. William Peter Blatty passed away on January 12, 2016. I’m glad I got to hear his classic novel read with his intended character inflections and tone. It was fantastic. I let his word usage wash over my brain, I hope something stuck! Just when I was about to move on from this theme of possession that organically emerged in my life, my library app told me that a new addition to the collection might interest me. My Best Friend’s Exorcism by Grady Hendrix. I loved HorrStor by this same author, so of course, I borrowed it! Not as chilling as the tales above but still good. I was a teen in the early 80’s like the characters, and it brought back some delicious (can you say TCBY) and cringe-worthy memories. It’s a coming of age story with the added challenge of a terrifying chain of demon-inspired chaos. Check it out! I’m still open to this theme of possession! I’d like to read some Indie authors on the subject. I’m taking suggestions! I just watched Hostage to the Devil, a documentary about real-life exorcist Father Malachi Martin, and so now I think I’ll have to read his book by the same title. What have I learned from all this? Well, if you happen to see someone you love speaking with an imaginary friend, acting strangely, and speaking in strange voices…you might need a Father Marcus. Or maybe…just maybe…they are a writer! Until next time Never Turn Off the Lights! I’m taking a break from NaNoWriMo preparations to enjoy the holiday. We slammed some Halloween fun and a birthday celebration into the last couple of days. The weekend festivities ended with the traditional carving of the pumpkins. You are likely aware that most Halloween traditions have roots in the Celtic holiday of Samhain which marked the end of summer and final harvest time. It was also a period when supernatural forces were particularly active. On this night the door to the spirit world opened and spirits were allowed to freely roam the Earth. 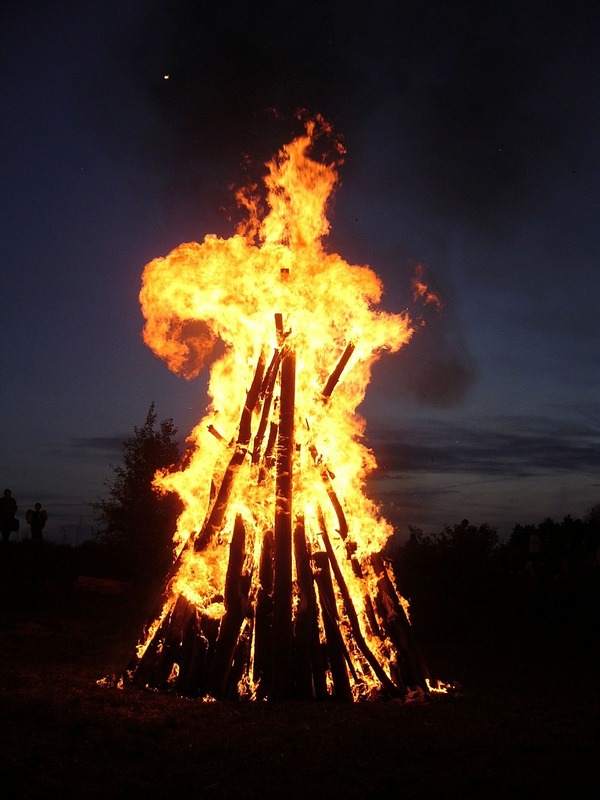 To keep evil spirits away, raging bonfires were lit. In the middle-ages the festival morphed into All Hallows Eve. Eventually the bonfires were toned down to hallowed out gourds and turnip lanterns. When Irish immigrants came to America they found that the native pumpkin was a superior way to create these lanterns. Ta-dah, the jack-o-lantern was born. You might not believe this looking at my profile picture but my Pop is pure Scotch/Irish with the surname to prove it! There is an Irish folktale that tells a much more interesting story about how jack-o-lanterns came to be. Stingy-Jack forever doomed to roam the Earth. There once was a man named Stingy-Jack. He liked to drink, hang out at the pub, mooch off of everybody for drinks, and to play tricks on them because he fancied himself so much smarter than they. He wasn’t an especially likable fellow. So much so, that one Hallows Eve he found himself face to face with the Devil. Stingy-Jack was sure he could outsmart the Devil, so he offered his soul in exchange for a drink. The Devil quickly changed himself into a coin to pay for the drink. He didn’t know that Stingy-Jack had already mooched a coin from another patron to pay for the drink. He snatched up the coin and put it in his pocket next to a silver cross that he always carried. Because of the cross, the Devil could not change into his real form and was trapped as a coin. Stingy-Jack refused to free the Devil until he promised not to claim his soul for ten years. The Devil agreed and Stingy-Jack released him. Fast forward ten years. 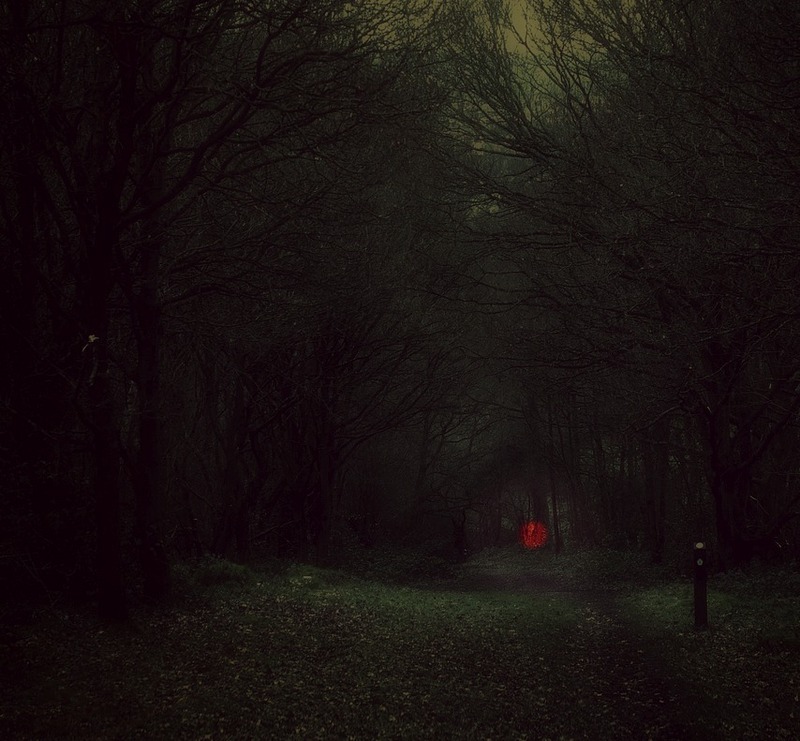 Stingy-Jack was walking along a darkened country road when the Devil came to collect what was due to him. Again, Stingy-Jack used his tricky ways. He told the Devil he would go but could the Devil please climb the tree and get him an apple first? For whatever reason, the Devil went up the tree to get the apple and Jack quickly etched a cross on the trunk. The Devil now could not climb down from the tree. Jack made the Devil promise not to collect his soul now or when he eventually died. The Devil was furious but had no choice other than to agree. Several years later Jack passed-away. He presented himself to the gates of heaven but was told he could not enter because of his deceitful, drunken life. He then presented himself to hell. The Devil remembered the promise he had made and refused him entrance. Instead, he was banished to roam the Earth forever with only a turnip lantern to light his way. This doomed ghostly figure was referred to as Jack of the Lantern and eventually Jack O’Lantern. In Ireland and Scotland people began placing their own version of Jack’s lantern in windows and doorways to keep evil spirits at bay. 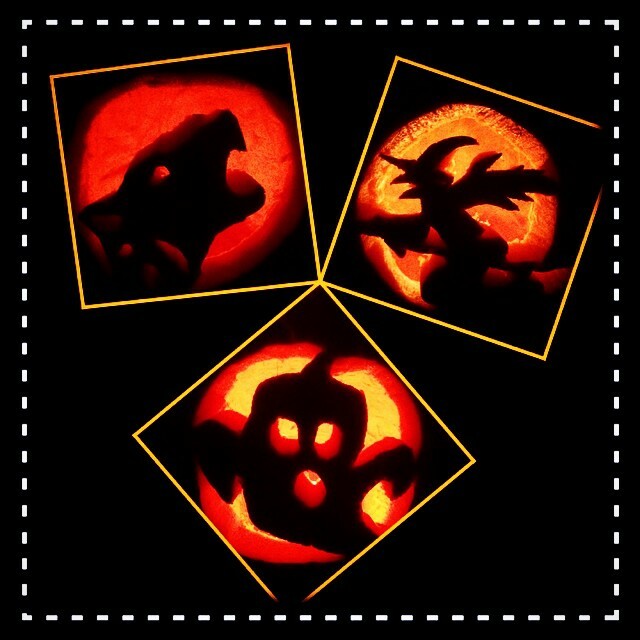 As you carve your own jack-o-lanterns keep poor Stingy-Jack in mind. I think he actually got it easy compared to an eternity in hell! My Family’s Creations this Halloween. Ouija Boards, too Scary or Explained by Science? I’m contemplating a Ouija board scene in my book. I’m evaluating its relevancy to the plot among other things. To help me make a decision on the scene I did some brainstorming and research. What I discovered was rather interesting. I had numerous brainstorming questions: What are they? How do they work? Is it spirits or demons? Is it our subconscious mind? Or is it simply involuntary minute muscle movements? Do they open a portal to hell or just harmless fun? I probably haven’t touch one myself since my twelfth birthday. 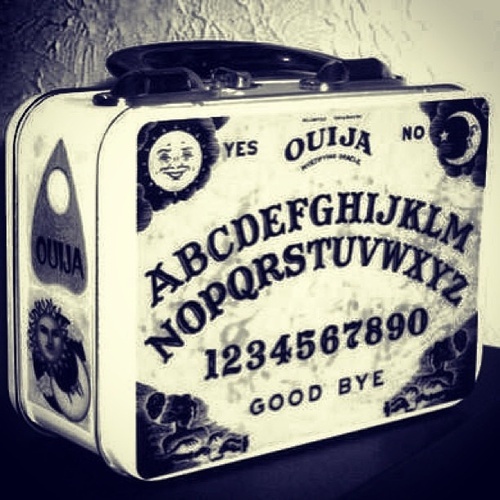 Although the origin of the Ouija board seems shrouded in mystery there is a patent for one in London from 1854 by Adolphus Wagner. In his patent he clearly states that the messages spelled out on the board are accomplished by the unintentional movements of the people using it.⁠ In the 1890’s it was sold in America in novelty shops and made by the Kennard Novelty Company. They were able to receive a patent in 1891 because they had proven to the patent office it worked when they were able to get the board to spell out the name of the Chief Patent Officer, which they supposedly did not know before hand. From there the Ouija board obtained a strong foothold in American culture. Using the board was not a controversial activity early on like it is today. 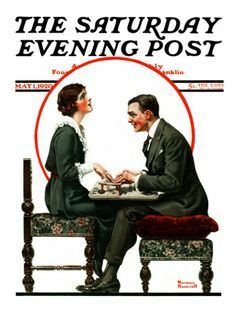 Norman Rockwell portrayed a man and woman using the board on the front page of the Saturday Evening Post in 1920. That’s like seeing someone use a smartphone on the evening news today. Parker Brothers bought the rights to the game in 1967 and sold 2 million boards that year. Perhaps one of the most interesting things to me as a writer are writers who used the board to help guide their writing. Here are just a few that made me go, hmmm. In 1917 Emily Grant Hutchings published a book called Jap Herron, about a diamond in the rough young man who blossoms under the tutilage of a graceful couple. She claimed the book was dictated to her via the Ouija board by none other than Mark Twain, who died in 1910. Reviews at the time called her claim into question not because she used the board but because it was terribly written. One critic wrote, there was no way Mark Twain would have written such drivel, dead or alive. In 1957 Sylvia Plath wrote Dialogue over a Ouija Board after her experience of a Ouija session. Apparently, she used the board quite a bit and even took some writing direction and advice from the board. It begs the question, did her use of the board have anything to do with the way her life ended? In December of 1972 an Eastern Airlines jet, flight 401, crashed into the Florida Everglades. The crashed was caused by the flight crew’s distraction of a landing gear light not functioning. While their attention was on the light the plane lost altitude and crashed into the swamp. 101 people perished. The ghosts of the 12 flight crew members who died were reported by numerous reliable people to have been seen around the company and on other flights. Salvageable parts from Flight 401 had reportedly been installed in these aircraft. In 1972 John G. Fuller wrote The Ghosts of Flight 401 about the phenomena and used the board and a medium to contact the spirits as he wrote the book. Not exactly a writer but quite surprising, Bill Wilson, co-founder of Alcoholics Anonymous, is reported to have used a Ouija board to develop the familiar 12 steps. The board did not really become controversial in popular culture until after The Exorcist came out in 1977. In case you have been living on a deserted island for many decades, a young girl plays with a board and begins chatting with an entity. This fun and games end with the girl being possessed by a demon. Not the portrait of a harmless parlor game. Even in the camp that believes it is spirit energy moving the planchett there is strife. On one end of the spectrum there are those that believe your intent when using the board dictates the outcome. If you intend to communicate with departed loved ones or good spirits that is all that will come through. For those who think they are an acceptable tool for contacting spirit they stress exercising caution. They say that before you use one say a prayer of protection, know how to close anything you open, smudge the board with sage, and the like. Way over on the other end are those who say it is definitely spirit communicating through the board but your intent doesn’t make one bit of difference. It can only be demons moving the planchett, impersonating loved ones or good spirits to lead people astray. They point out that scripture forbids believers from participating in communication with the dead. People with this viewpoint would never touch one under any circumstance and suggest we all do the same. Skeptics and science have a different opinion, not surprisingly, it does not include spirits. It is the live humans using the board. The planchett moves because of something called the ideomotor effect. This term describes the small, automatic muscular movements we all make and are totally unaware of. Experiments have suggested that the planchett movements to spell answers to the questions asked are caused by the ideomotor effect working in conjunction with our own subconscious mind. These two things combine to generate the effect of an outside force moving it. To disprove this notion there have been experiments of people using the board blindfolded to minimize user influence with mixed results. There is a strange phenomena around the board that shows just how mucky the understanding of the way the board works is. It’s been coined the Zozo phenomena by paranormal investigator Darren Evans. People from all over the world report the board spelling out “I am Zozo”. These encounters are characterized by extremely negative encounters with death threats and blasphemous messages. Believers feel this is a demon or negative entity that attaches to users and affects their life in detrimental ways, proving the boards are dangerous. Listening to their personal stories make for a compelling viewpoint. Skeptics say it is simply the ideomotor effect and the subconscious that has knowledge of this phenomenon at work. Others say it is the ideomotor effect and the “collective subconscious” that causes the common experience to emerge. Mostly, it is dismissed as internet folklore. The year I turned twelve I was living out on an acreage just north of Calgary, Alberta, Canada. We lived in a large home which was good because there were seven kids living in the house. We had a walk out basement that had a large open room with a wood fireplace that we called the rec room. Just off this room was my favorite area of the house, the den. It was floor to ceiling book shelves with a heavy desk under the window. I got to commandeer these two areas for my birthday party sleep over. At some point during the evening we settled down in front of the fire to tell scary stories. I don’t remember exactly how it came about but we pulled out the Ouija board and I suggested we go under the desk in the den where it was really dark. We huddled under the desk and sat with the board balanced on our legs. Not everyone could fit so some of the girls sat on the floor as close as they could. The only light source was the slowly dying fire in the other room. We started asking questions and the room was very quiet as we were all very intent on what we were doing. Not much was happening. I finally said in my most dramatic voice: If there are any spirits in the room, give us a sign. At that exact moment there were three very loud and slow knocks on the window above us. We shrieked and bolted up the stairs in a jumble of legs and arms like the devil himself was chasing us. By the time we reached the kitchen we were laughing. Of course, it was the older kids heading into town for Saturday night. They must have seen us get the Ouija board and waited around to scare us. When my aunt heard the ruckus she came in and we explained what happened. She didn’t laugh. She explained that the older kids had left for a movie in town over an hour ago. Needless to say we slept upstairs in the living room that night. I don’t know how to explain that using the ideomotor effect, unless someone’s subconscious was able to tap the window. I still haven’t decided whether or not to use the scene in this particular book. Feel free to share your experiences, they might just make me lean one way or the other. For now, never turn off the lights, especially if you’ve been messing with one of these and somebody or something or (holy crap) Zozo knocks on your window. There is a new horror film slated for release tomorrow, Devil’s Due. You may not have heard of the movie but maybe you heard about or have seen the viral marketing for this movie. This movie is based on fictional characters but there are several well known possession movies that are based on allegedly true stories. Probably the best known of these is The Exorcist, based on the story of Roland Doe (not his real name), a 13-year-old boy who in 1949 underwent a month long exorcism ritual conducted by two Jesuit priests, Fathers William Bowdern and Walter Halloran. In the movie version it is a young girl who is overtaken by an evil entity after playing with a Ouija Board. Roland’s ordeal also began with a Ouija board. Several manifestations were inflicted on the boy, writing would spontaneously appear on Roland’s skin, he spoke in a guttural voice, he had an aversion to sacred objects, he was vulgar with the priests and even tried to urinate on them. Finally, according to Tom Leonard of the Daily Mail, the boy shouted out “Satan, I am St. Michael! I command you to leave this body now!” He went limp and announced “He is gone!” He acted normally and has never had a relapse since that moment, prompting some to say the boy was faking the whole thing. A possession movie I found most interesting was the 2012 release The Possession. Usually it seems the Catholics have the corner market on exorcisms but this story has a Jewish slant. The movie is loosely based on the book The Dibbuk Box by Jason Haxton. In the movie a young girl buys the Dibbuk box at a yard sale and becomes possessed by the evil spirit from Jewish folklore that was trapped inside when she opens the box. In real life the box was first purchased at an Estate sale and later on eBay, finally coming to Jason Haxton. The box has a history of strange and tragic occurrences happening to those in possession or vicinity of the box. Haxton still owns the box and says it is in a safe place, whatever that means. Apparently some strange things happened on the set of The Possession even though the crew and cast turned down Haxton’s offer to give them the actual Dibbuk box. Several times lights inexplicably exploded and phantom gusts of wind would billow on the set. When shooting wrapped up all the props, including the movie version of the Dibbuk box, were put into storage. A short time later the storage unit burned to the ground with no explanation. Demonic possession is discussed in the Bible numerous times and many religions hold the belief that spirits can possess the living. Dr. William B. Bradshaw, Ph.D, a demonologist, wrote Sinister Among Us as a layman’s primer into demonology. Dr. Bradshaw holds his Ph.D. in demonology has spent decades studying the subject. While he concedes that mental disease, physical maladies, and human choice are usually at the root of these cases he believes that there is a struggle between good and evil. As he points out in his book, possession is not always head-spinning, levitating, pea soup shooting obvious and can strike in the most unlikely place. Which makes the prospect even more unsettling. Unfortunately, my usual advice of never turn off the lights probably won’t help in this situation. Unless you are an unbeliever, then you should be fine, right?